In 2017, illicit coca cultivation in Colombia reached a record high of 171,000 hectares according to the United Nations Office on Drugs and Crime (UNODC). 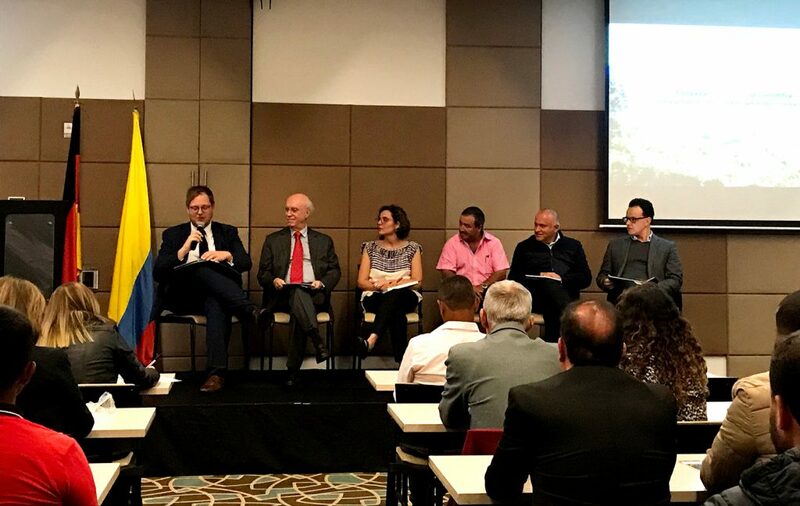 The Colombian government is putting tremendous efforts into developing a strategy to control the increase in cultivation and the related illicit economies in the country. Almost 30 years ago, the Northern regions of Thailand faced a similar situation with a high prevalence of illicit opium-poppy cultivation. Today, the Thai approach of sustainable alternative development (AD) is acknowledged globally as a strategy to address illicit drug crop cultivation in rural areas. In Thailand, opium cultivation is now reduced to almost zero, the forests are protected from deforestation by the local communities and licit job opportunities have been created for formerly marginalised poppy farmers. In particular, the case of Doi Tung, a former poppy-growing region in the Thai highlands, presents valuable learning opportunities for governments facing similar challenges. Against this background, a series of workshops have been organised by the Global Partnership on Drug Policies and Development (GPDPD) on behalf of the German Federal Ministry of Economic Cooperation and Development (BMZ) and the Thai Mae Fah Luang Foundation under Royal Patronage (MFLF) from 2016-2018 to give countries like Colombia the opportunity to learn from the Thai experience. Altogether, three Colombian groups ranging from high-level officials to community representatives have already visited Doi Tung to discuss the replicability of the Thai AD model in their home country. In January, the outcomes of these fruitful exchanges were presented to a wide range of policymakers and implementers in Bogotá during a trilateral cooperation dialogue with Thai visitors. Thai experts also took this opportunity to learn about Colombia’s Alternative Development programme in Santa Marta De Nevada. Colombia showed a very strong commitment to outlining a way forward for implementing AD. Key messages emphasised that sustainable development is not possible when the environment is degraded and that it is vital to put people at the centre of the development process. Moreover, changes do not occur overnight, as development is a slow process, sometimes taking decades. In addition, overcoming illicit drug crop cultivation requires collaboration from all levels, particularly the private sector.